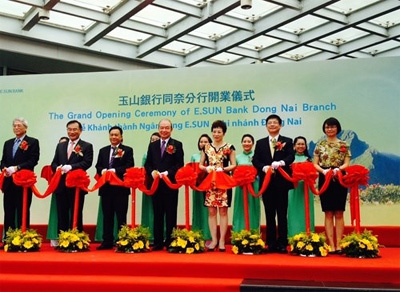 Taiwan's E.SUN Commercial Bank (E.SUN Bank) on September 18 opened its first branch in Vietnam in Bien Hoa city, the southern province of Dong Nai. 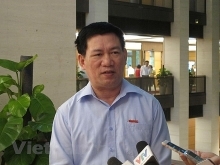 Situated in the Amata Industrial Zone, the bank hopes to benefit from the expected increase in foreign investment, especially from Taiwan, as a result of the many bilateral and multilateral trade agreements Vietnam signed this year, and the Trans-Pacific Partnership, which it might sign in the near future. 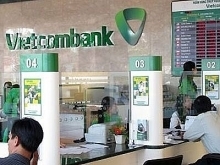 "The opening of E.Sun Bank's branch in Vietnam is part of a plan to expand operations in Asia," Joseph N.C. Huang, the lender's President said. 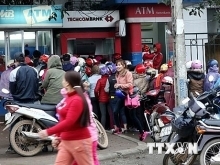 Initially, the bank will provide financial services to Vietnamese and foreign businesses, especially Taiwanese, before targeting inpidual customers in the future. 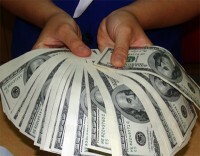 The bank now offers services to 3,000 Taiwanese businesses. It has a chartered capital of 30 million USD and a license for 99 years./.